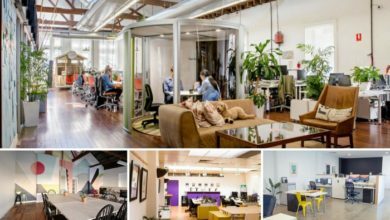 Find a coworking space in Melbourne that best suits your budget. A Coworking Space in Melbourne is the next big thing for any freelancer or an aspiring entrepreneur who is kick-starting his startup journey. In order to begin with your startup, apart from immense risk & courage, of course, there are a lot of other things required and one of them is a workspace. If you think of investing in an office, stop. 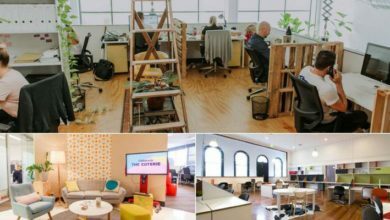 The city of Melbourne has got a nice bunch of coworking spaces where you can simply grab a desk and start working. Coworking spaces in Melbourne attract a lot of like-minded people and thus are full of activity. Being a hub of business and technology, Melbourne has quickly adapted to the concept of coworking and today has got a lot of options for those who wish for coworking in Melbourne. Being one of the most populated cities, Melbourne is home to some impressive Coworking spaces which are built magnificently and are all the more pocket-friendly. 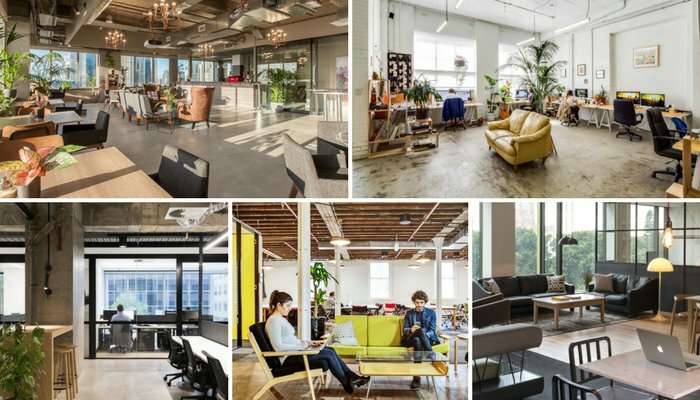 We have listed out some of the famous coworking spaces based out of Melbourne. These spaces are serving freelancers and entrepreneurs and have built up a community for Melbourne coworking. Let’s browse through these spaces and get to know what they have to offer. 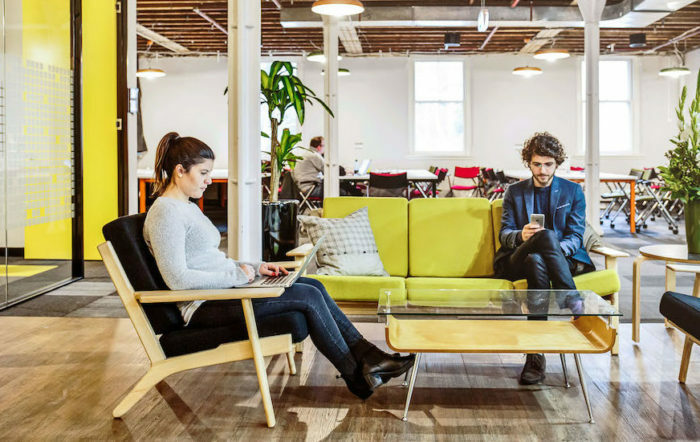 Spread in an area of about 2500 metre square, shared offices spaces at The Cluster Melbourne is one of the best coworking space in Melbourne. 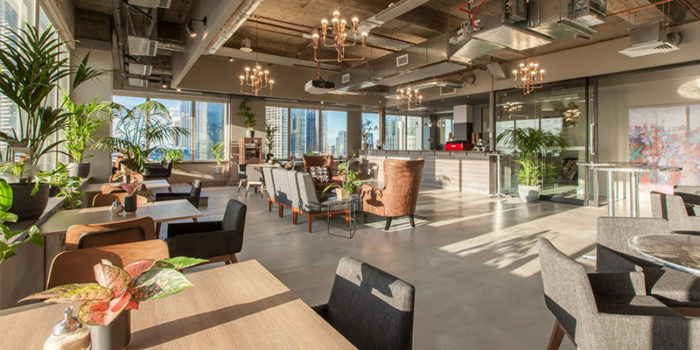 To your surprise, The Cluster is Australia’s first coworking Penthouse. Private offices, meeting rooms, eye-pleasing boardrooms, on the spot IT support as well as wide investor network is all that makes The Cluster coworking space Melbourne an incredible business community. 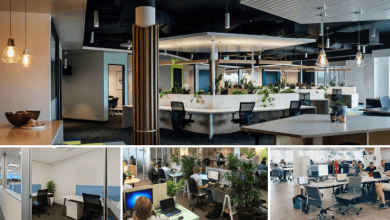 Pricing: A flexi desk at The Cluster Coworking will cost you around $130 per week whereas the cost of having a permanent desk begins from $195 per week. The amount payable if you wish to own a private office will be higher. If you wish to use The Cluster’s address to pace up with your business needs, you can do it for an amount of $15. Also, you can get your business calls answered from the receptionists at The Cluster for $25 per week. If none of the above suits your need and interest, you can opt for a day pass which costs $40. YBF Ventures came up in the year 2011 and is serving people as one of the many coworking spaces in Melbourne. This is one coworking space that has acquired a well-known shared office workspace – Team Square Melbourne. YBF is a lace for startups as well as for corporates looking for serviced office within the coworking concept in Melbourne Australia. This coworking space has a unique name – York Butter Factory. The reason is that they had their first setup inside an 1850 heritage building known as York Butter Factory. 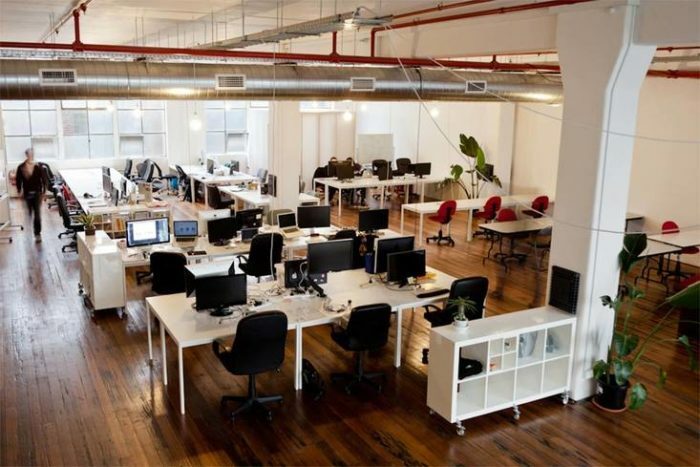 With a presence in Melbourne CBD, YBF coworking attracts a lot of professionals who work here. Pricing: Casual Memberships, dedicated desks as well as private offices are available at YBF. If you are a big team, they even have the option to rent out a part of the floor. Casual Membership begins with an amount of $50 per month which will grant the basic benefits to you. Dedicated desks are available for $700 per month which include a permanent desk and an ergonomic chair. A private office at YBF Coworking Melbourne will cost you $800 per month. Roy Space is another active Coworking Space in Collins Street, Melbourne which acts as a shed to bring together all the tech savvy and innovative experts and has helped build a good community. Indoor plants for the nature lovers inside Roy Space, Melbourne are nothing less than a treat. An individual can access this places and all the advantages tagged along at any time according to his/her preference. They also have a special table tennis room inside their shared office workspace. A hub for the creative intellects, Roy Space is limited to 15 desks and is a cheap coworking space in Melbourne. A creative workspace in Fitzroy Collingwood, Roy Space is a great option for those seeking coworking hotdesks in Melbourne. Visit: 188 Johnston St, Collingwood VIC 3066, Australia. Cost: Available on monthly basis, desks can be availed at Roy Space, for a price of $450 which shall be inclusive of the GST. 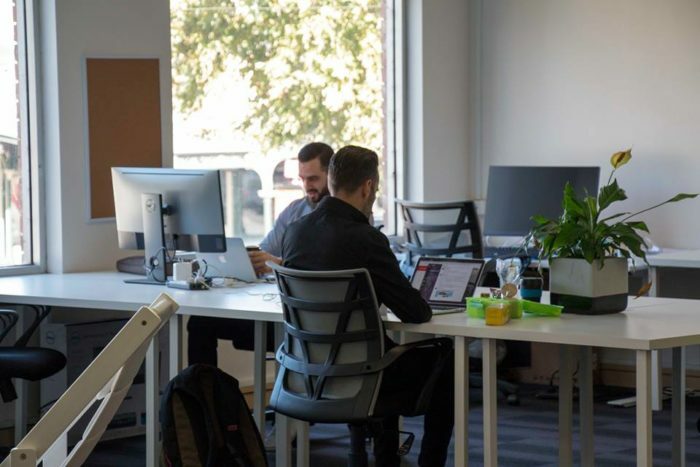 Inspire9 is a coworking space in Richmond area of Melbourne that caters to freelancers, full time working individuals as well as small companies and helps them achieve big things by establishing a productive coworking community. Located at a distance of 5 minutes from Melbourne CBD, Inspire9 coworking space Richmond is a good option to choose. Location: 41, Stewart Street, Richmond, VIC 3121, Australia. 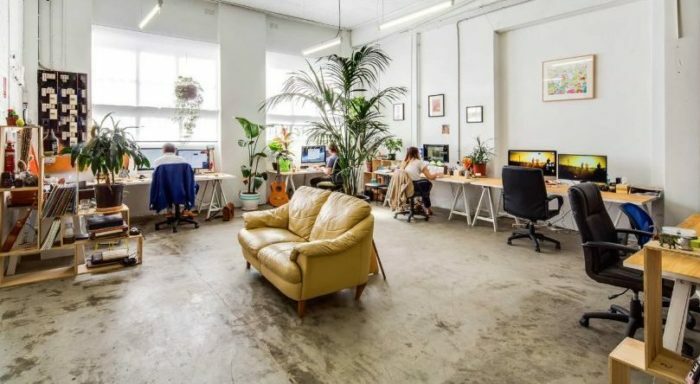 Pricing: If you want to casually work at this place on daily basis, it would cost you $40 whereas if you wish to visit this cheap coworking space Melbourne on a full-time basis for a month, it would cost you $600 whereas the same for part-time basis would cost you $370 per month. And if none of the above suits you, you can also go for the weekly plan at Inspire9 Coworking Melbourne which will cost you $200. 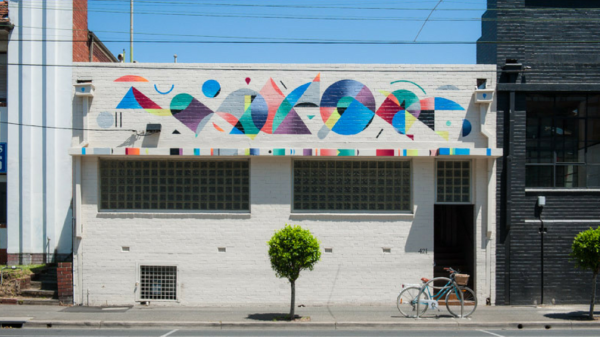 Dimension5 is another Coworking space in South Melbourne which enhances the efficiency of the working population initiating various opportunities for the startup and other social enterprises. 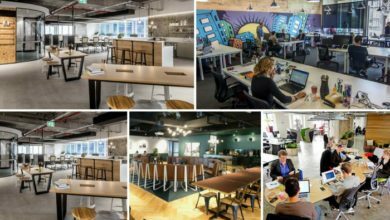 Spread in an area ss large as 1100 meters square, this coworking space Melbourne offers great opportunities for collaboration & networking. Not only you gain mentoring from established identities but also come across innovative tools to grow your business. Address: 1/10 Dorcas Street, South Melbourne VIC 3205, Australia. Pricing: There are different memberships available as per preference namely transformation corporate membership, exponential membership and catalyst membership. The catalyst membership is for $425/MO in which you will be provided with a hot desk and other additional facilities. The exponential membership is available for an amount of $575/MO in which you can avail a private desk as well as a cabin for storage along with other perks. 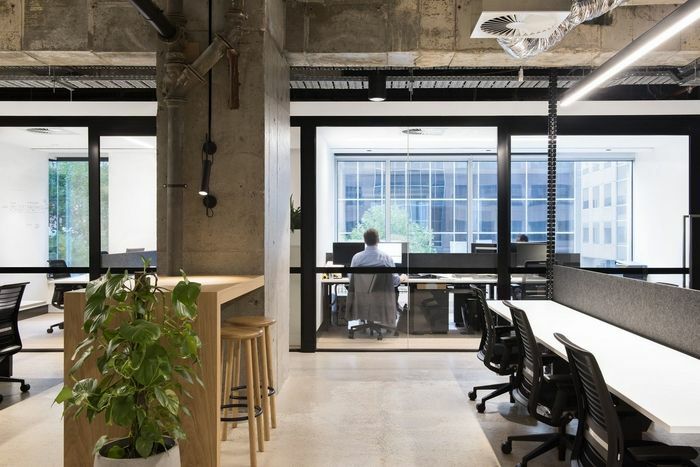 Spread in an area of about 700 metres square, individuals or collaborative team members can opt for open as well as private hot desks and shared offices spaces here at Work Club Coworking space, Melbourne. Work Club is a cheap shared office space which is home to a lot of innovative things that help boost the will of an entrepreneur as per the best of his/her ability. You have the power to choose in between a highly energetic, ambient as well as a calm and serene shared office for working. Pricing: The membership is available in various forms like premium, associate, visiting, side project and club. If you want 24/7 access you can opt for Premium membership. Associate membership comes with 2 days a week access and visiting membership comes with 4 days a month access. Work Club coworking Melbourne has an exciting membership known as side project. This gives you access to the office space after 5 PM on weekdays and full day on the weekends. Space&Co. is another shared office space in Melbourne which has an all-inclusive access to the luxury utilities along with an efficient management team which is at your service whenever you need. Being new to the field of entrepreneurship, entrepreneurs try every bit to cut costs and thus increase their profits which makes them compromise on their office workspaces. Space&Co. is free from all kinds of hidden charges and the convenient availability of this coworking space in Melbourne CBD is of extreme benefit to many. A refreshment at work is a must and this is available in numerous luxurious forms at Space&Co. Coworking space, Melbourne. Pricing: At Space&Co., you can opt for different pricing options available. The pricing is divided into three parts namely day pass, flexible and fixed pass. The day pass costs an individual $60 per day. The flexible pack begins from $210 per month. If any of these does not suit your purpose, you can go for the fixed desk pack at Space & Co. Melbourne which begins from $600 per month. An emerging collaborative venture, Honourable Society is yet another cheap coworking space Melbourne which abides by the rule to let entrepreneurs, freelancers and other workmen connect, focus and grow. All small and middle-sized businesses can go for this commercial office space in Melbourne at affordable rates. This space empowers people to do amazing things apart from motivating them to work in a productive way. Onsite Parking facility adds to the benefit of this coworking space in Melbourne CBD. Pricing: There are different pricing options available as per your need of coworking like daily, weekly, part time and full time. Further, there is a diversion to hire a hot desk for full-time availability at Honourable Society Coworking Space. 24*7 full-time availability of this coworking space will cost you around $660. Shared office spaces for part-time would cost you $400 for a month and you can use the same on a weekly basis for $140 per week. 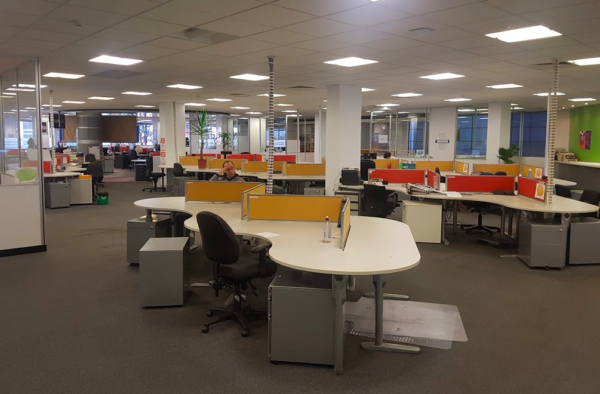 If you are looking to use this Melbourne shared office spaces for daily purposes, it begins from $35 a day along with basic work requirements included like commercial grade wifi, desks and much more. Spread in an area of 285 meter square, Electron Workshop is a comfortable co-working space in Melbourne, Australia that is built and designed for digital geeks and innovative people. An open-plan coworking space based in the city of Melbourne, Electron Workshop is open to all the creative people who are bored off sitting at coffee tables for long hours without any scope of fun, work or growth. Pricing: At Electron Workshop, you can go for a day hotdesk which will cost you $25. An unlimited hotdesk will be available for an amount of $275 for a month along with additional perks. 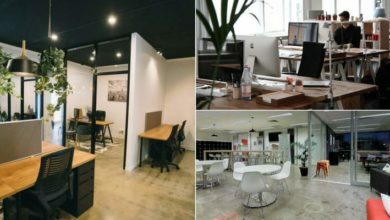 A fixed desk at Electron Workshop coworking Melbourne can be availed for $499 per month along with mezzanine breakout room access, personal desk, drawers and much more. A collaborative shared office which offers memberships, space to hire for the newly found and operating startups, conduction of events & photo shoots, hosting of different activities as well as working of the small-scale workshops, The Cowork Collective is an ideal Coworking Space in Brunswick, Melbourne. Availability of the various business essentials are an inclusion in all the coworking spaces but this one is an eccentric place which will help you work and enjoy both hand in hand. Pricing: You can make use of this shared office space as per your requirement. If you wish to use this coworking office sometimes, you’ll be granted 10 coworking days per month along with access to the locker, collaboration space and much more like studio community events at a price of $275 per month which is inclusive of GST. Whereas, if you wish to it on daily basis, all the perks like business mailing address, meeting rooms etc. will be available to you for a price of $385 inclusive of GST per month. As it is said that ideas rise and innovation prevails when like-minded innovators work and grow together. Coworking Spaces Melbourne are emerging on a wider scale in terms of demand as well as being on the top requirement for startup businesses and established businessmen who are now looking forward to collaborative work and more energy. 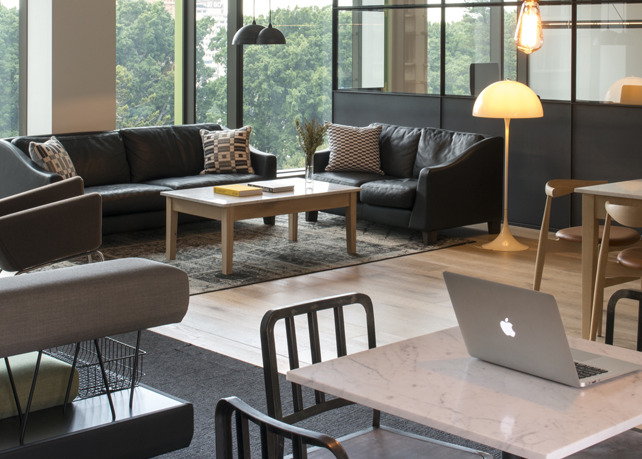 From the availability of hot desks to great locations of shared offices in Melbourne, from widespread meeting and conference rooms to proper connection facility and of course those much-needed mini-breaks which boost up one’s potential, all the coworking spaces in Melbourne are aesthetic. Choose the one that suits you the best.